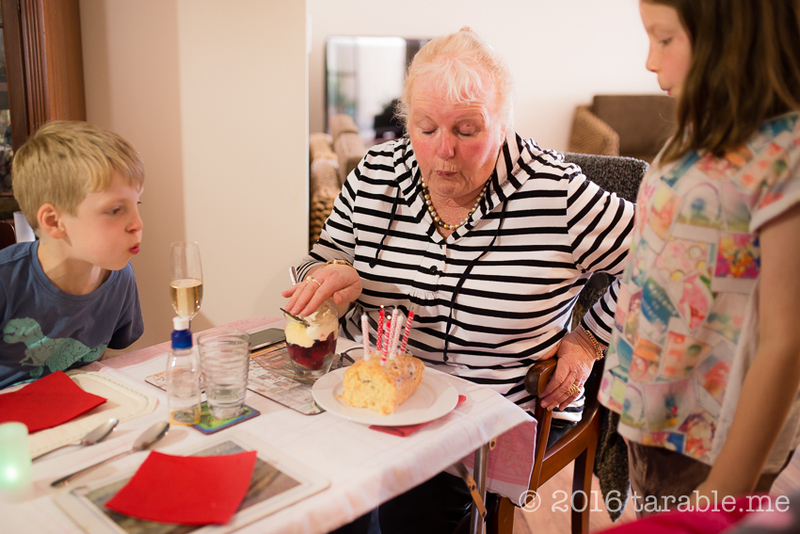 Yesterday was mum’s birthday. Today was her birthday party. I just love this photo. Look at all the candle-blowing-out that is going on. And the hand protecting dessert! Good move Gran. Thanks for being my mum. Thanks for loving me, my brothers and our families. And thanks for throwing a great lunch party. And for those of you confused about the dates, I’m backdating these posts so that the photos and stories match the date of the post.